We provide Swimming Pool Lighting. IP68 conforming fixture. multi color output available. - Die cast in Aluminum with anti-glare cowl. - Gear stand and earth spike mounted at the base. - Available in Spot & Flood Versions. 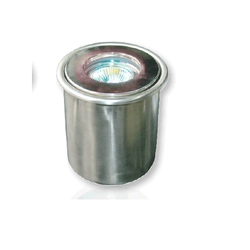 In the series of our products, we are also engaged in offering a quality range of Swimming Pool Halogen Light to meet the needs of our clients. These lights are round in shape thus can be installed very easily. Our products are well known for their attributes such as easy to use, scratch free, longer functional life and easy maintenance. - Green, white or blue. - 180 LED Fishing Light.